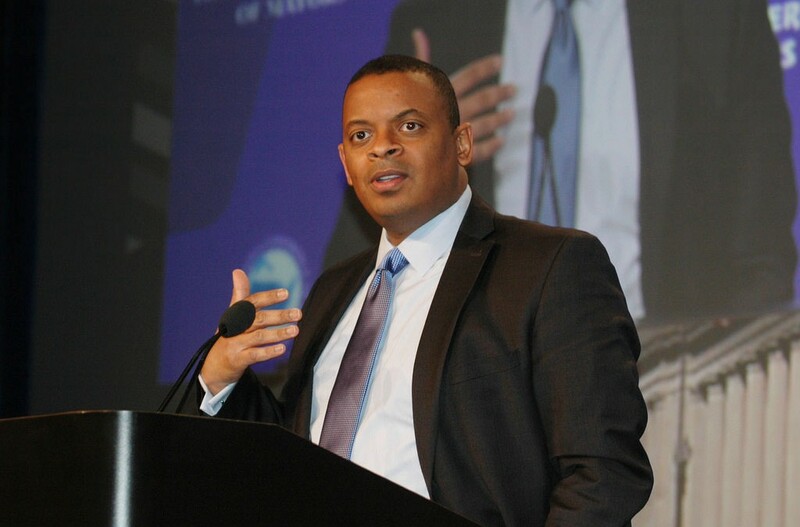 U.S. Transportation Secretary Anthony Foxx Feb. 23 said $500 million would be made available under the eighth round of the fiercely competitive “Transportation Investment Generating Economic Recovery”, or TIGER grants. Foxx made the announcement, “officially unleashing the TIGER out of the cage,” at the annual legislative conference of the National Association of Counties in Washington. In 2015, the Department of Transportation (DOT) awarded a share of $500 million to 39 winning projects from 627 eligible applications. Over the past seven years the program has provided nearly $4.6 billion to 381 projects in all 50 states, DOT said. TIGER grants are used to fund capital investments in surface transportation infrastructure and are awarded on a competitive basis to projects that will “have a significant impact on the nation, a metropolitan area, or a region.” The 2016 program will also focus on capital projects that generate economic development and improve access to reliable, safe and affordable transportation for communities. The application deadline is April 29. More information is available on the DOT website.